Let’s celebrate 30 years of CSN Live ‘N’ Gigging! 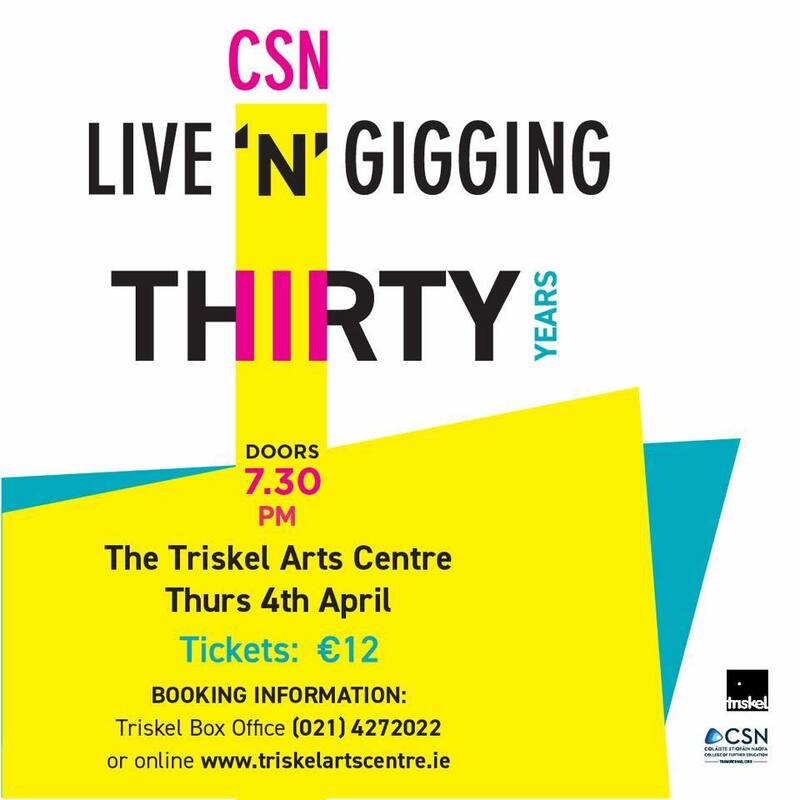 CSN College’s renowned Music, Management & Sound course celebrates its 30th year at the Triskel Arts Centre with an extra special anniversary gig. Don't miss this showcase of incredible live music from every genre! Join us for this very special night of music. We are really looking forward to seeing you all at the Triskel Arts Centre.